To find internship opportunities in your country, view all Global (Non-US) Internships. 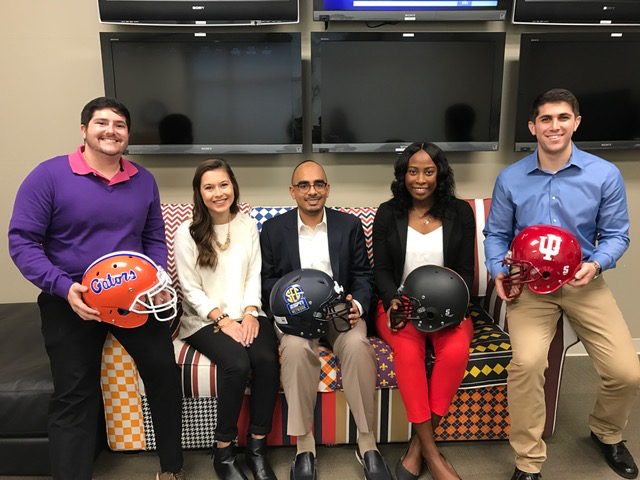 Check out what our current Disney interns and alumni are saying on social media about Disney Professional Internships. Work in a professional setting, in areas including Park Operations, Food & Beverage/Culinary, Hotel Lodging Operations and Retail. With an internship in Animals, Science and Environment, you'll be responsible for the care and welfare of animals across our properties. Tell stories in the most innovative ways, by utilizing and developing cutting-edge technology that impacts experiences around the world. Work through complex modeling decisions while learning essential skills. The Disney Technology Management Rotation (TMR) program provides the opportunity for technologists with advanced degrees to gain valuable work experience in high-priority technology solutions across The Walt Disney Company (TWDC). Learn more. Imaginations is a design competition created and sponsored by Walt Disney Imagineering with the purpose of seeking out and nurturing the next generation of diverse Imagineers. Learn more. Experience a new culture while giving the gift of language to children across China with Disney English. Learn more. As a Disney College Program participant, you'll become part of the magic that is known worldwide, gain valuable on-the-job experience, and have the opportunity to meet people from all over the world. Learn more.